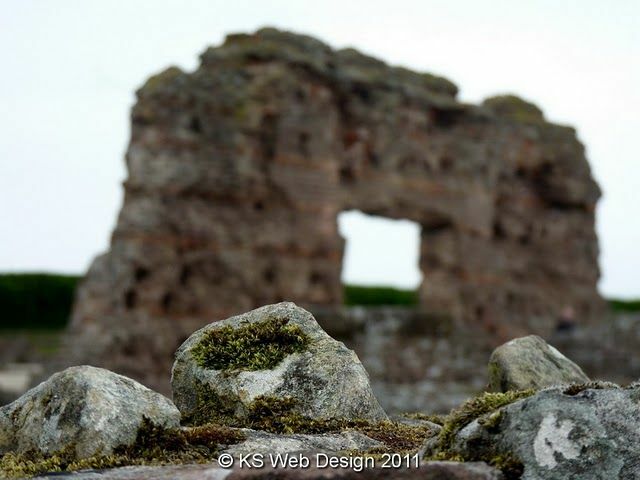 We went on a few months ago, but just forgot to write this article to Wroxeter, this is where there are the ruins of the Roman city with the exposed ruins of the old bath house and part of the old town that would have surrounded the bath house also there is a recent reconstruction of a Roman Villa, that most people will know from the Channel 4 program “Rome wasn’t built in a day” It is run by English Heritage. 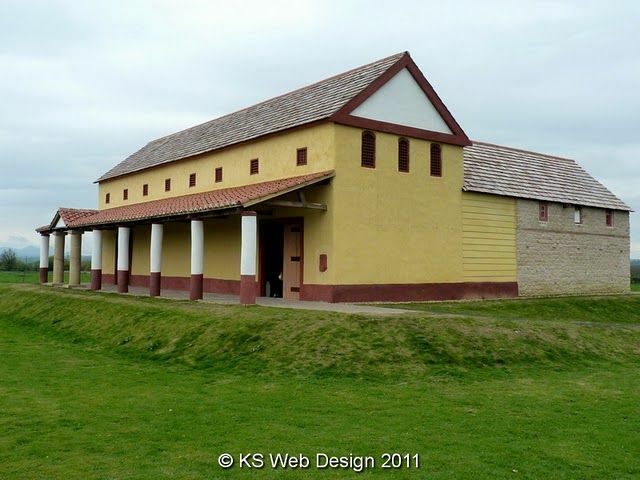 Wroxeter is just over 5 miles away from Shrewsbury, entrance for adults is £4.80 children £2.90 or you can get a family ticket (2 adults – 3 children) for £12.50 if you are a English Heritage member entrance is free, parking on the site is free, entrance price gives you access you to Roman ruins of the bath house etc and also the reconstructed villa, you are free to go back in at any time the same day. For details of opening times click HERE for the official English Heritage website. A little history of Wroxeter, Wroxeter was in Roman Britain the fourth latest town which in Roman times would have been known as Viroconium Cornoviorum and was originally a military town as would have had an ideal position to see the surrounding landscape, not that much survives above ground, but the size of the town was significant, The baths would have been constructed around AD 120 to 150 that was done to the standard Roman plan which is mainly a L shaped building. If you would like to know more about the history you can buy the guide book onsite that goes into a lot of detail. It is really nice to see all the ruins and walk around them, you can go anywhere within the ruins. It was great to walk around and you do feel the scale of the Roman town, the parts that are excavated are mainly the Bath house and part of the one street, that would have had a few shops and two taverns you can also see the excavated part of the lavatories. These ruins are in one field but most of the other field around this area are owned by English Heritage but not been excavated, looking at a map that showed a overhead view of the whole town, you can feel the enormity scale of the whole site. Excavations started in the mid 19th century which is when they uncovered the ruins of the baths. Also there are parts that are excavated of the Larine and some small shops and what would have been the market hall. Just by the reconstructed town house there are some of the excavated pillars that would have surrounded the colonnade of the forum. You can have a audio tour, the equipment can be collected from the main entrance upon paying this is free of charge, but if you don’t have the audio tour around the site are lots of information boards telling you about the parts of the ruins that you are by, these are very informative with good pictures showing you the different scenes of the town, people etc. Myself I didn’t know about the ruins at Wroxeter until the Channel four program “Rome wasn’t built in a day” this program was on for 6 episodes following modern builders, carpenters, plumbers etc building a reconstruction of a Roman villa over a period of 6 months in 2010, they could only use tools and methods that the Romans had at the time. It was a great program watching them build this villa from scratch and having to deal with the old Roman method and techniques, if you get the chance try and watch the program if still available on the catchup service, I don’t think there is a dvd release yet. So for me it was great to see and walk around this villa as I really did enjoy the program. We also went about a ¼ of a mile down the road to Wroxeter village, nothing really there other than the Wroxter hotel aswell as the old Anglo Saxon church of ST Andrew , you couldn’t go in the church itself but you can walk around the church yard, it is a very nice church, and was nice to walk around the small graveyard. The old village dates back to Medieval times. I would really recommend a visit to Wroxter as you do learn a lot and children will enjoy it aswell. The entrance price is good as you can spend a good few hours there, we spent around half the day there going round the site, villa and church. I would recommend buying the small guide book as is very detailed on the history of the site, which was only a few pounds. Below are just some of the photos I took on this really nice day out. Also if you are in this area why not visit Attingham Park and mansion that i have visited see HERE for details.